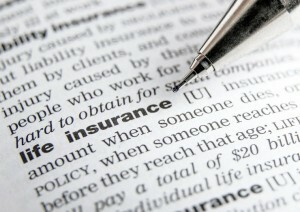 Home » What is A Guaranteed Issue Life Insurance Policy? 1. How long is the waiting period for non-accidental deaths? Most guaranteed issue policies have a two-year waiting period, which means that if the insured dies in the first two years, the coverage is limited to a return-of-premium, plus interest. However, this waiting period can vary with some companies having waiting periods as short as one year and others having waiting periods as long as four years. 2. Graded Death Benefits – A graded death benefit means only part of the death benefit is paid out. An example of a graded death benefit may be a policy that limits the death benefit to a return-of-premium in the first two years, gives a payout of 25% of the death benefit in the third year, 50% of the death benefit in fourth year and the entire death benefit in the fifth year. 3. Blended Smoker and Non-Smoker Rates – This is a good deal for smokers, but non-smokers are paying a higher premium than they normally would. 4. Limited Face Amounts – Most guaranteed issue policies have face amounts of $25,000 or less. Bingham Group Services (BGS) offers a unique guaranteed issue mortgage insurance policy, which allows for face amounts as high as $500,000. There are a couple of caveats though, the coverage is linked to your mortgage and any pre-existing conditions diagnosed within 12 months from the policy issue date will not be covered for the duration of the policy. You can get more details on the BGS plan here. 5. Return-of-Premium – If the insured dies within the waiting period, some companies just return the premium, but others, like Assumption Life, return the premium plus 3% interest and some, like The Edge, pay a return-of-premium, plus 10% interest. 6. Multi-Life Discounts – Certain guaranteed issue providers offer multi-life discounts, which allows the second insured to save on the policy fee.